Made stir-fried squash with one of these last night. For the eggplant, I haven’t decided what to do. 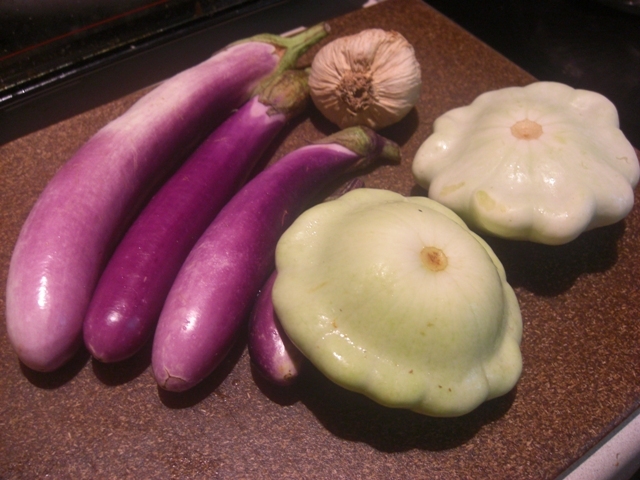 I’ve been craving baba ghanoush, but these Asian eggplants don’t roast in the oven that well. Hmm…. 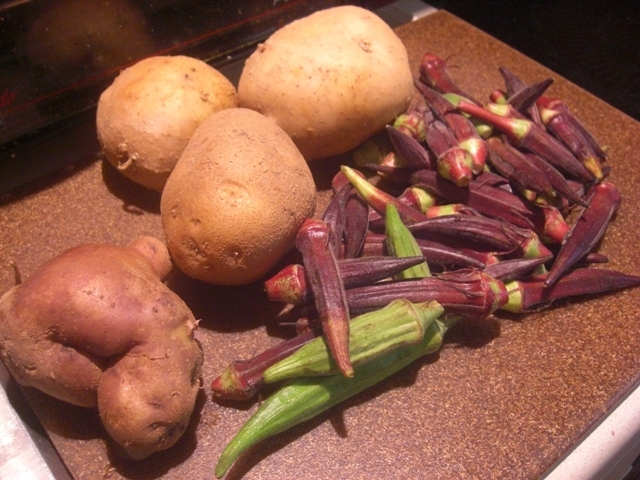 I’ve baked the potatoes ahead of time along with some beets from a couple of weeks ago. Today, we’ll have baked potatoes loaded with butter, sour cream, cheese, and local green onions. For the okra, I’m going to try a simpler frying recipe where you slice the okra length-wise and then fry it face down in some oil. Hmm…. 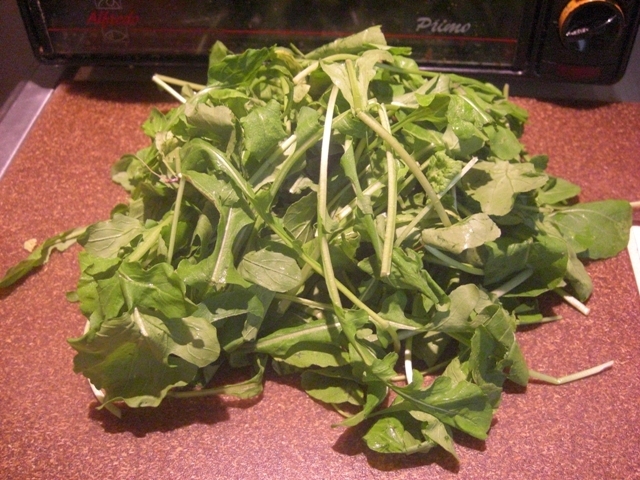 We’ve been getting a lot of arugula lately, so I’m considering finding this batch a home at a neighbor’s house. 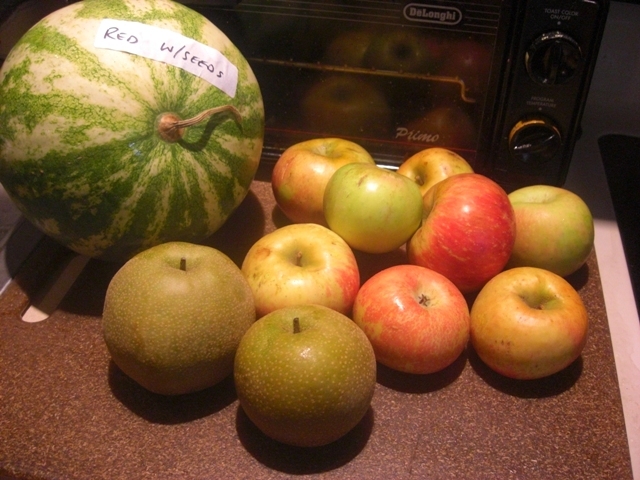 We ate these up along with the stir-fried squash yesterday. Field peas are so yummy! 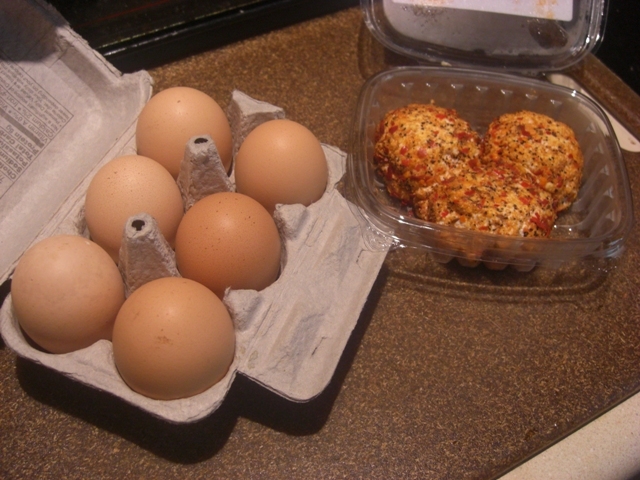 I’m happy to report, too, that they freeze really well. 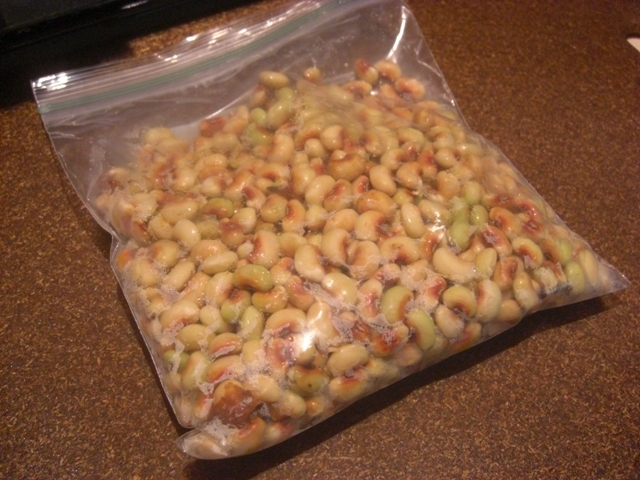 A couple of weeks ago, I pulled out a zip-loc bag just like this from my freezer containing peas from last year. I cooked them the same way (in a pot, covered with water, dollop of olive oil, bring to a boil, and then simmer 20 minutes or more), and they were delicious. This is my favorite of the flavored goat cheeses. The hotness of the peppers goes great with the creaminess of the cheese. You could probably find something better to do with it than gobble it up on Triscuits. But I couldn’t.